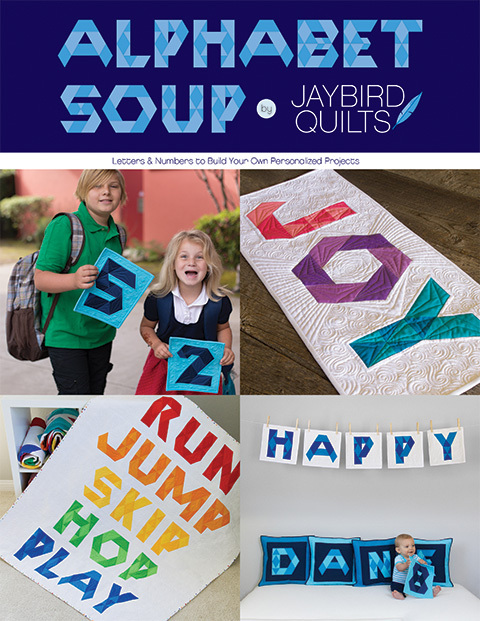 If you love mini quilts, and you loved my Skip the Borders book, today is your lucky day! 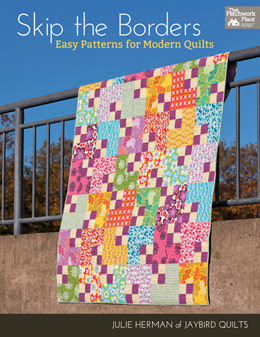 Two of my Skip the Borders quilts are featured in a new book that's available now, Fun-Size Quilts. 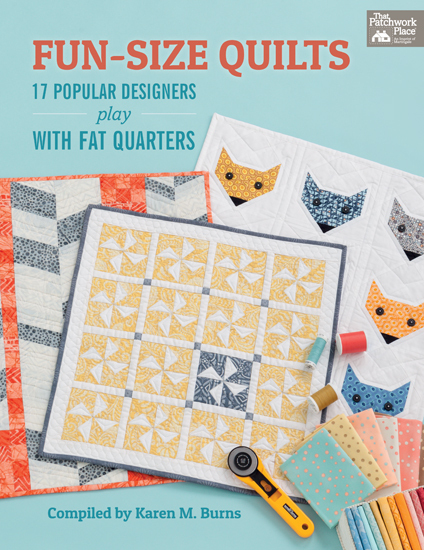 Fun-Size Quilts includes 19 mini quilt patterns by 17 different designers. 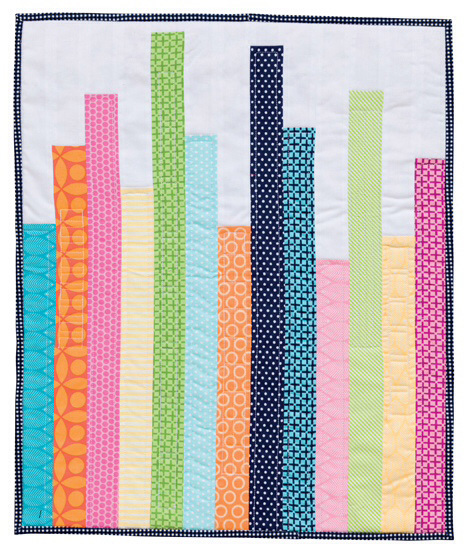 It's bursting with all kinds of mini quilt fun! Inside Fun-Size quilts, you'll find a mini version of my Skip the Borders cover quilt, "Four-Patch Shift". This mini "Four-Patch Shift" finishes at 12 1/2" x 16 1/2" with 2" x 2" finished blocks. Yup, teeny tiny 2" blocks. Get out your Precision Stilettos for this one! Quilt measures - 12 1/4" x 16 1/4"
Here are some of the progress photos I shared on Instagram over two years ago! And you'll find a mini "White Stars" quilt! This mini "White Stars" finishes at 12 1/2" x 16 1/2" with 4" x 4" finished blocks. Here are some of the progress photos I shared on Instagram last year! This book is full of so many great quilts, I picked out a few from other designers to share with you. This "To-Do List" quilt by Debbie Grifka of Esch House Quilts captures my idea of a perfect day! "Tapa Cloth" by Natalie Barnes has a cool and calming feel to it. 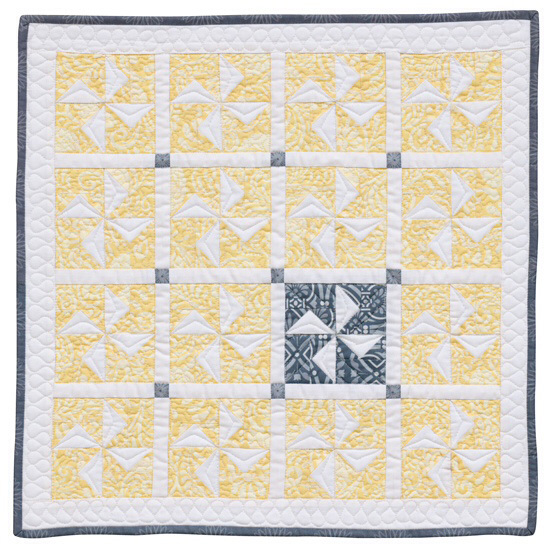 Kim Jolly's cover quilt, "Sunshine," has a great modern-traditional spin to it. "Elongated Triangles" by Missy Shepler. And "Stalagstripes" by Pippa Eccles Armbrester. You can see more Fun-Size Quilts on Martingale's site. ---- And you can win your own Fun-Sized Quilts eBook! 2. In your comment tell us which Fun-Size Quilt you're inspired to make from the book. You have till 9PM PST on Wednesday, July 30th to enter. So much inspiration. 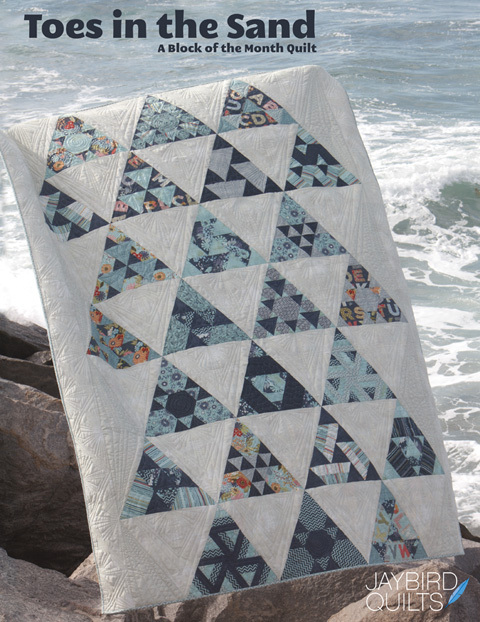 It's a toss up between white stars and Elizabeth daxkson's quilt! I would make the stalagstripe mini. Love it and its name! I'd make the To Do List quilt for my sewing room wall - apparently we have enough big quilts in our house so fun size ones must be the way forward! I would make them all! But that To Do List is stinkin cute! 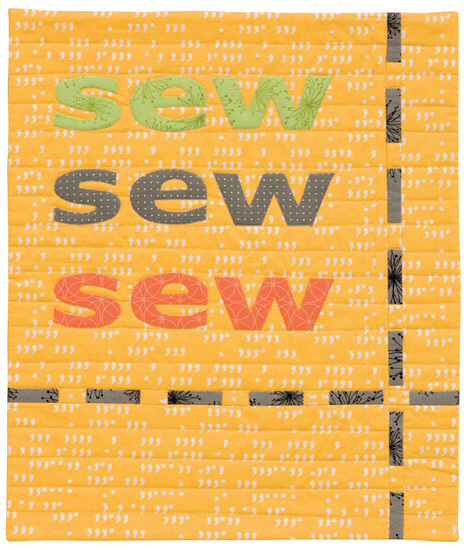 Would be a great one to make for all of my sewing sisters for gifts! Love these patterns! I'm most inspired by the stars-- white stars and starlight. I would love to make both the Sunshine and White Stars quilts. I think the first I would make is the mini white stars. And then the elongated triangles. I love the simple clean lines of both. Eventually I would try them all. I really like the simplicity of Skyline. Colorful and easy to make. Both features that I emjoy. All of them are an inspiration to make you want to make a mini for yourself. This is an exceptional great book to be able to win a copy for yourself. Thank you for the chance to win. "Stalagstripes" would be first on my list.....i would probably make them all! 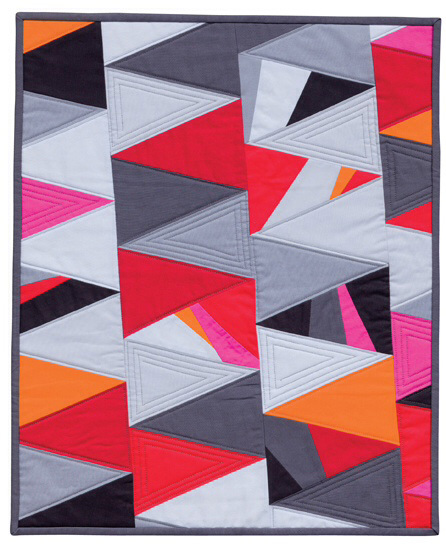 There is something about that Elongated Triangle quilt that makes me want to have one. I'd love to make Starlight! I've only been quilting since May so I'm gonna start "easy" with the skyline quilt. These would be perfect for practicing free motion on my domestic. I'd like to make to to-do list one and hang it on the wall in the sewing room. 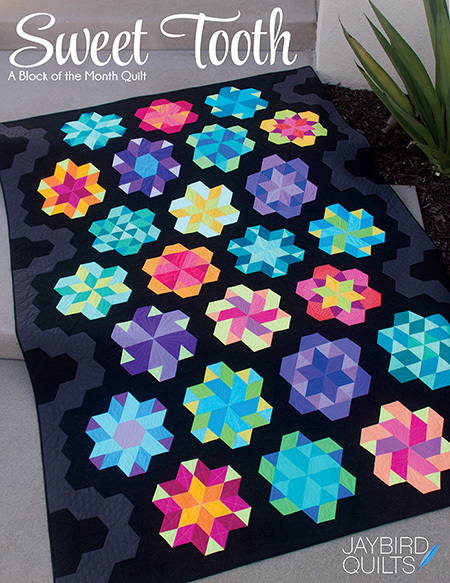 I'd love to make Melissa Corry’s “Quiltalicious”! Thanks for the chance ~ fingers crossed! "Skyline" looks easy peasy, and will make a good place mat for the cat! 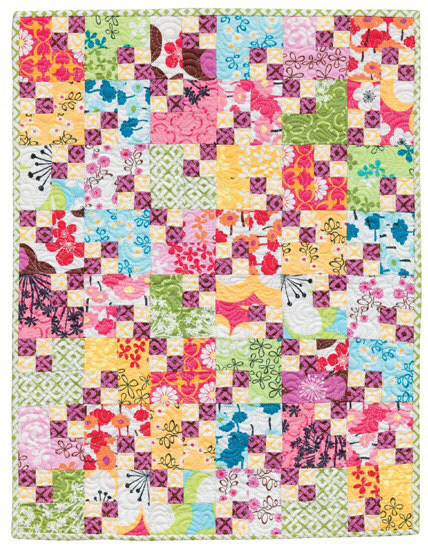 I think I might like to tackle the four patch shift mini quilt! I have done a few of your other mini's and enjoyed them! Love these quilts! I would like to try "Elongated Triangles" because it is so different from anything I've made before. I'm a big fan of those White Stars and your four patch. I would HAVE to start with 'White Stars'. Stars and minis...a perfect combination. I love the little foxy faces! I'd love the book - thank you. I am intriqued by the little animal quilt. 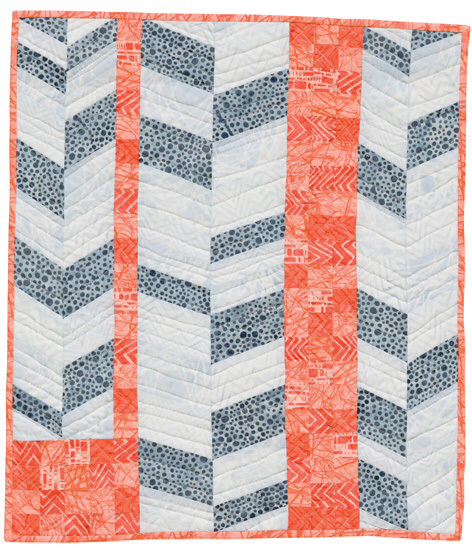 I really love the foxy quilt and the 4 patch shift looks like fun. I'd make up the Hedgehog quilt or Starlight. However, I'd give hard thought to White Stars. Decisions, decisions, decisions . . . I don't understand mini-quilts. 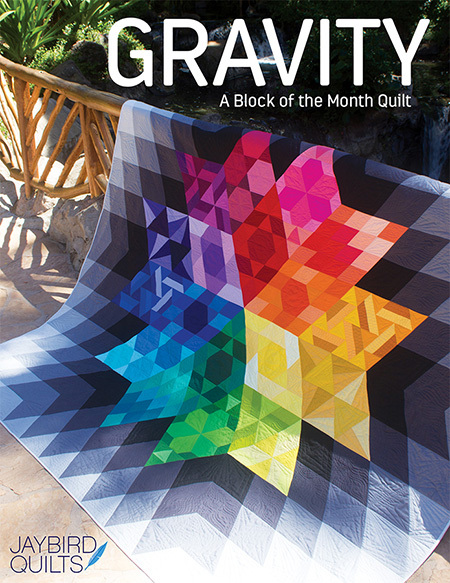 I see in the quilt blogs that there's a lot of excitement about them, so I'm led to believe I'm in the minority. Is the point to practice technique? What do you use these for? What good is a quilt that only covers your hip? These are honest questions - I just don't get it. I might end up making ALL of them (love mini quilts! ), but I'd start with the "To Do List" quilt for my sewing room wall. The fox quilt will be perfect for my son! Fun stuff! I like Thomas's Perhaps quilt ! I am inspired to make the Sunshine quilt. I love the "To-Do List." Your stars would be great for a holiday project too. And that tiny binding? Awesome! Your White Stars is a great contribution to this mini quilt book. This is so much fun and so many quilt designs that you just want to make all of them. Thank you for the chance to win this copy of Fun-sized Quilts. The Fox in the Box mini would be adorable to make. Four patch shift. Love the teeny tiny squares. All I can say is ... foxes <3 <3. <3! I just love all these little quilts. Too cute. I think it's good I picked up the Precision Stiletto a few months ago at Nancy Zieman's warehouse sale when I saw it. I'd seen that earlier in the week before the sale and was thrilled to see one that soon. I honestly can't decide which I love most, as there are three that are screaming to me. Those three are My Little Garden, White Stars, and Sunshine. I am not sure which I want to do first. I love them all. But the best part is that when you are busy and have a full time job and kids these mini quilts give a great outlet to be able to be creative, productive and successful! The size makes it all manageable. All great patterns and quilt but I would make 'Starlight' first. I like "Elongated Triangles", I've been wanting to do something with a gray background, and solids are outside of my comfort zone - this would be a good challenge! Would be sweet to win this e-book!! I would love to make the Four-Patch Shift.... Which would surely be a challenge to my piecing skills!! They are all so cute! Minis are great. I think us shine and to do list will be the first I will will do. Would love to win! I would do the 4-patch shift, first then any of the rest look fun. I don't know about the 1/8" binding, but willing to give it a try. I'm definitely going to make the fox face quilt. So cute! The colors you chose for Four patch shift are great. I can see doing this with a variety of pattern to the fabric. Looks like a lot of fun. 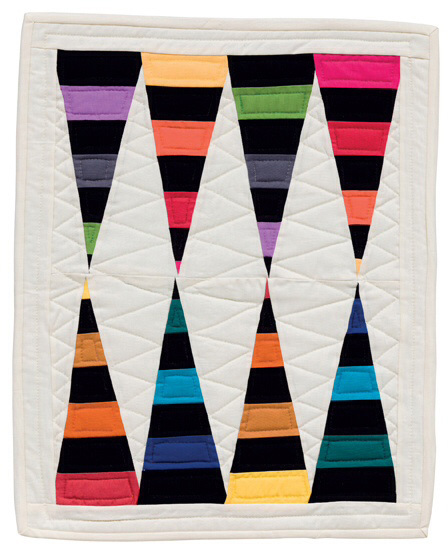 The Tapa Cloth quilt is the one I would make first. White Stars and Four Patch shift! I like the skyline quilt! I love pinwheels, so the first quilt I would make from this book is Sunshine, with the little yellow pinwheels. Elongated triangles really speaks to me. oh boy--sunshine, to-do list, and the white stars all are crying out to me!!!! Looks like there are some awesome quilts in this book--can't wait to get my hands on a copy!!! yay!! Sew hard to choose. I love the To Do list and the white stars and the sunshine quilt. I think I might just make them all. I love the to-do list quilt. What a fun idea! I love them all! But the to-do list and 4-patch shift are at the top of the list! They are all cute! I think I would try “Quiltalicious” by Melissa Corry first. I like the skyline and white stars quilt! 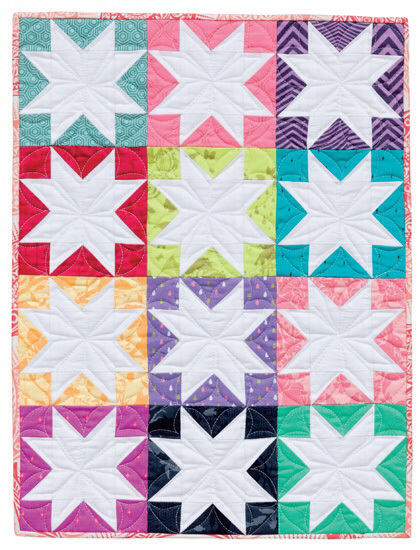 The White Stars Mini-quilt caught my eye! Thanks for the giveaway! So many amazing choices...not sure I'm able to choose just 1! My top 3 are Stalagstripes, Elongated Triangles, and Starlight!! Thanks for the awesome opportunity!! Sunshine because pinwheels are my favorite Blocks but have never done a mini. they are all cute, but I like White Stars and Tapa Cloth and the pinwheels. To-Do List would look great on the wall of my sewing space! I am in a triangle mode lately, so Elongated Triangles and Stalagstripes really appeal to me! What a hard decision but I think the first one would be Elongated Triangles. Thanks. I was inspired by the Hedgehog quilt in Fun-Sized Quilts. It is so adorable and would make a fantastic baby quilt someday. Love the Sew, Sew, Sew quilt... I've seen designs like this before, but I don't have a lot of surplus wall space in my studio, so a mini would be perfect! I would love to make them all but I think the fox quilt is particularly adorable! Which one, which one!?!? It's extremely difficult to decide, but probably begin with the hedge hogs for my new great niece. These are going to be addictive I do believe. Won't be able to stop once I've started. I would make the white star quilt, but with 9 blocks or 4 blocks to make it square. Thanks for the give away! Love the foxes' and starlight. I would probably start with the sunshine quilt (love the pinwheels)! I want to make all of the quilts, but I would make the White Stars quilt first! Thanks! I would love to make the "HI" or "Skyline" quilts - they look easy enough for me! I can't stop looking at those cute little fox faces. That might be first but there are so so many wonderful designs. I love the Hedgehog quilt, that would be the first I'd want to try. I am in love with the "Sunshine" quilt! Love your mini White Stars quilt. I'm really into stars at the moment. They are all so cute and I like the idea of completing something small. Sunshine certainly inspires me, I love the pinwheels. A tie...Fox in a Box and Hedgehog Heyday. Your White Stars mini is calling my name! I'll start with your stars quilt, then do Kim Jolly's pinwheel quilt. After that, it's a toss up, but eventually, I'll make them all. I love the look of the mini quilts, and can't wait to start playing in my stash! I love mini quilts & have been working on a mini wall so all would work for it!!! I instantly wanted to make the Starlight quilt featured on the cover of the book but now I have seen inside I want to make more. So first I would make Starlight because I am mad about pinwheels right now, and then I would make White Stars - love it too. The Fun-Size Quilt I'm inspired to make from the book is Quiltalicious! Love the chevron running through it and think the colour combination is great! I want to do the To Do quilt first. This looks like a fun book! And I love that fox pattern! This looks like a fun book to own! Thank you for a chance to win! 4 Patch Shift looks like fun to make, but To Do List would be nice for my studio. I love the white stars, but the one I most want to make is the hedgehog mini quilt. I've already made the 4 patch shift in the large size from your Skip the Borders book, and could use up some scraps making this mini version. I probably would do more than one, but the first one, would defiantly be "Four-Square Shift" i love it, i can just see my Grandma making that one! Very bright & vibrant! But I do love them all second choice would be Fox in a box! Many mini quilts are in my future, I think. Such fun patterns. I'm going to be brave and attempt a mini-binding too -- I agree that it helps the scale. I love the 'To - Do List...but they all look interesting. I want to make at least one 'To-do List' quilt - one for me and one for a quilting friend. The White Stars quilt, love it and I'm going to try one of those mini bindings, looks great. Thanks for the opportunity. I am inspired by the Four Patch Shift! The first one I'm going to make is Elongated Triangles. I really like the 4 Patch Shift quilt since it looks so scrappy. I would like to make the 4 patch shift - it looks fun! Hmmm...I think I'd go for the White Stars quilt and the To-Do List quilt first. Thanks! I'm torn between your White Stars and Kim Jolly's Sunshine. I might have to resort to "eenie meanie miney mo"! Stalagstripes is different & fun! Those white stars look like a good way for this newbie to practice and not have to make too many! I love mini quilts so this book will be a must to add to my library and I love stars too so my first quilt would be your white stars ! thanks so much for the chance to win ! Star light I will choose your star tonight. I would make the mini white stars right away! So cute! I'd either make the white stars using my stash of Gypsy girl for the background OR I'd make the cute foxes to make something for my SIL, who would just love it! I like four patch shift. I have some red, aqua and teal just waiting for something good! I love the foxes, and four patch shift is my style. Looks like fun! Fox in a box is my favorite mini. The white star mini is my second favorite! THanks. I like 4 patch shift-I like your fabric choice also. Not a fan of 1/8 inch binding! I will do each and every quilt in this book! I can't wait to get a copy!! I want to make your White Stars! I'm so excited for your whole mini-lineup. I won your Mini Hex n More and Mini Disco from Moda after Quilt Market, so I'm so excited to try them! of white I would use a light shade of green and build around that color. Green is my favorite color and I love working with the different shades. I can see a whole set of white stars minis done in different fabrics. I plan to make the WHITE STAR quilt. I love your colors. I'm into Modern Quilting and love to do my own quilting on my home sewing machine. 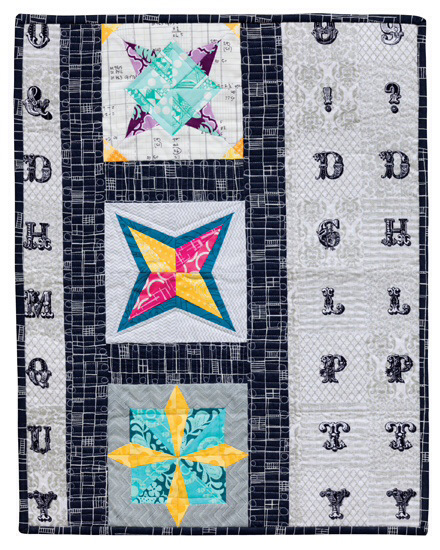 I love the White Stars quilt as I am drawn to stars quilts. And the Sunshine quilt is so cheery. I really like all of them. I would like to make Four patch shift, I have stash for it. 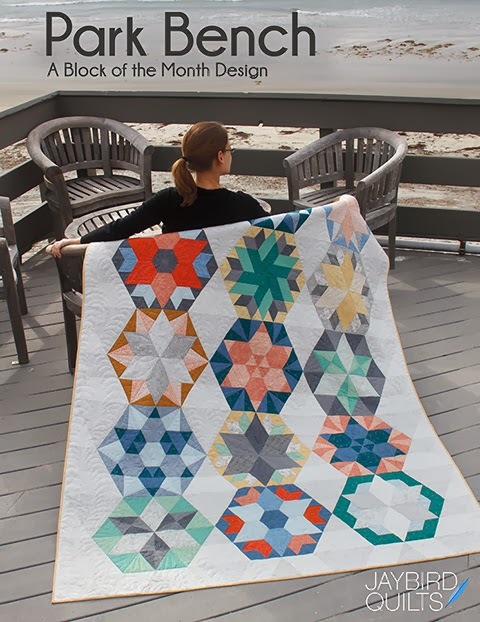 I love pinwheels so I think I would love to try Kim Jolly's Sunshine quilt. I like "White Star" and "Skyline" both! ronnie dot bazan @ hotmail dot com. I liked Sunshine and Tapa Cloth. 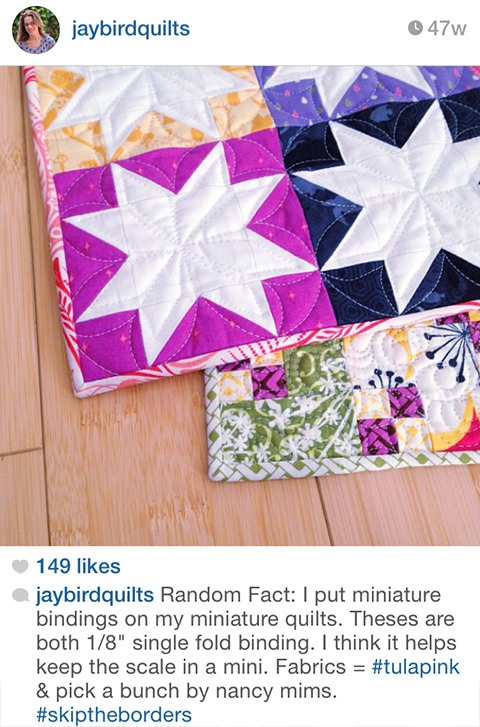 Thanks for sharing your Mini quilts. I do love your quilt, but 2" blocks frighten me! I'm inspired by Heather Valentine's flower applique quilt...I'd like to attempt that! Oh I'd just love to make the Tapa Cloth! I'm in love with the hedgehogs, foxes and stalagstripes. The foxes would be at the top for a doll quilt challenge in our guild. So many cute ones, but I really like the white star quilt! I am inspired to make them all! Really! This book is such a clever idea! Very cute. The 4-patch shift would be a darling american girl doll quilt! I like the To Do List for my sewing room. Lots of cute projects! I think I'd make the To-do list quilt. Thanks for the chance! Hedgehog Heyday is so cute! This looks like a fun book. I'd like to make Sunshine and Four-patch Shift. It's so hard to decide, love them all. Skyline looks like a good starting point. I'd love to do the pinwheel kit. Actually all of these projects would be perfect for me as I'm learning to machine quilt. I love so many of these little quilts! I think I'd make Fox in Box first, then Four Patch Shift, or one of the flower appliqué quilts! the 4 patch shift...because I have already made the full sized one and I totally need a mini!! Your "Four Patch Shift" intrigues me and the "Skyline" one does too. I can't wait to see them in the book! Thank you! I think I might like to try white stars or stalagstripes. I love the 'White Stars' quilt as I am always drawn to quilts with stars. I particularly like the combination of the white stars with the different colours of the backgrounds as they sparkle like jewels in contrast to the white. I am totally inspired by the 4 patch shift - I just love it! May try it out on my own actually - it is just so cute!! Well here us my post for the mini white stars". I have gone quilt by quilt and made my responses, although the posting areas have not been clear, I hope I have them in the right places! The white stars is my #3 choice of "Mini- Quilts" to do , so stay and lets party! Thanks so much! Why do I have to choose? I'd love to make all of them. And because they're small, maybe I could. I'd start with yours! I love it! I'll do White Stars first, because though I don't care for a full quilt of stars, as a mini it looks perfect! Then there are at least 3 more, because I could always find a place to hang a mini to enjoy, and then do more for friends. Love the fox quilt! We have foxes in our backyard! I love them all! But, I think I like White Stars the most. Gorgeous and fun quilts! Love the idea of mini binding too! I am inspired by the Elongated Triangle Mini! Looks like so much fun! I really love your white stars mini quilt, I think that's the first one I'd make. My favorite is either Fox in a box or sunshine. I really love the quilting on your star one though. They are all so inspiring! The to do List, the Fox one and White Stars.